Munich, Germany, 1946. 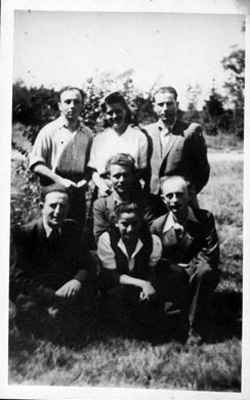 Pincus is in the center, and in the back row, far right, is his uncle Chaskel Kolender (Pincus's father's brother), who survived the Holocaust in Siberia, Russia. The others in this photograph are friends that can no longer be identified.